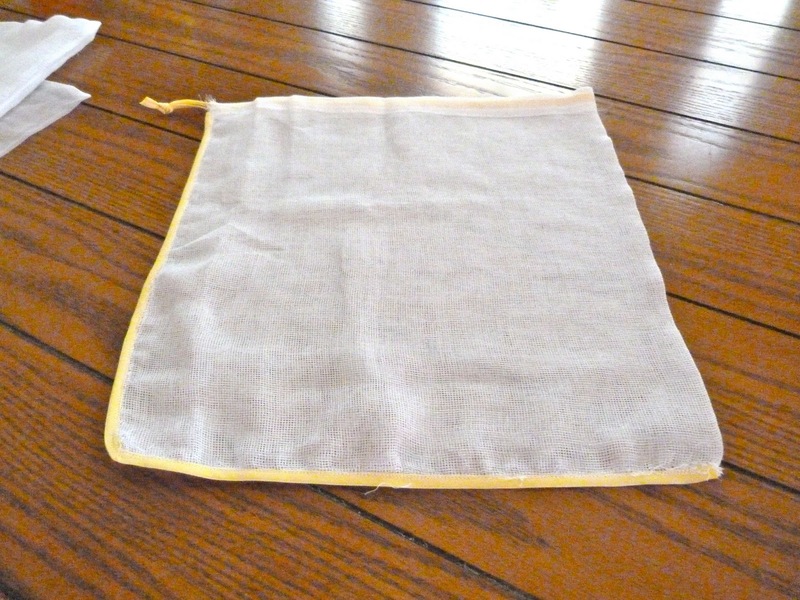 Over at the Frugally Sustainable Blog, Andrea is conducting the "23 Day Frugal Living Challenge". If you are anything like me, saving money sounds really, REALLY good. (As in, this year I may ACTUALLY get to take that vacation that always seems to cost too much!!) Anyways, you can sign up for her daily newsletter, go to the forum and find out what other like minded people are doing to save money.... or you can just lurk I suppose! But you will definitely GAIN more by participating daily to see what you can do to come up with ways to save money. Last week I was shopping our local Walmart for after Christmas stuff (hope didn't buy a THING!) 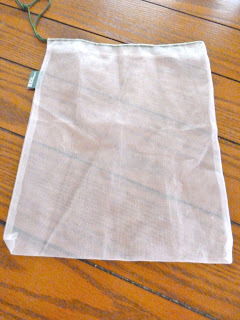 when I went down their clearance isle and bumped into a single sheer curtain marked down to $2. Now I read ALOT of blogs everyday and I remember seeing SOMETHING about that so I picked it up. Sure enough, Wendy over at Wisdom Of The Moon had done a great little "how-to" about it. Yay! Now I live in California and you can bet we will be seeing an end to the plastic shopping bag VERY soon and then what's next... the produce bags!! 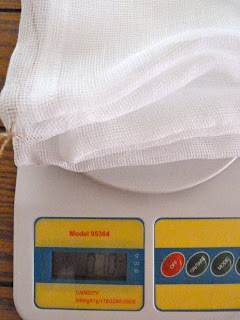 Remembering that I had picked up some produce bags a LONG time ago at my local health food store, I pulled one out for measurements and to see how it was constructed. Cute, huh? 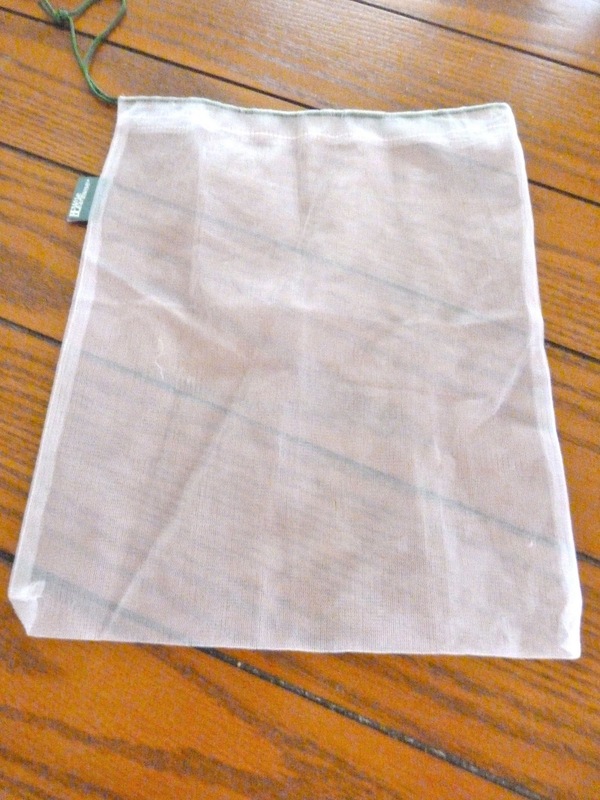 These are made by the Earthwise Bag Company. You can find more of their products offered on Amazon HERE. If you do a search on Amazon for "produce bags" you can see a few different varieties. 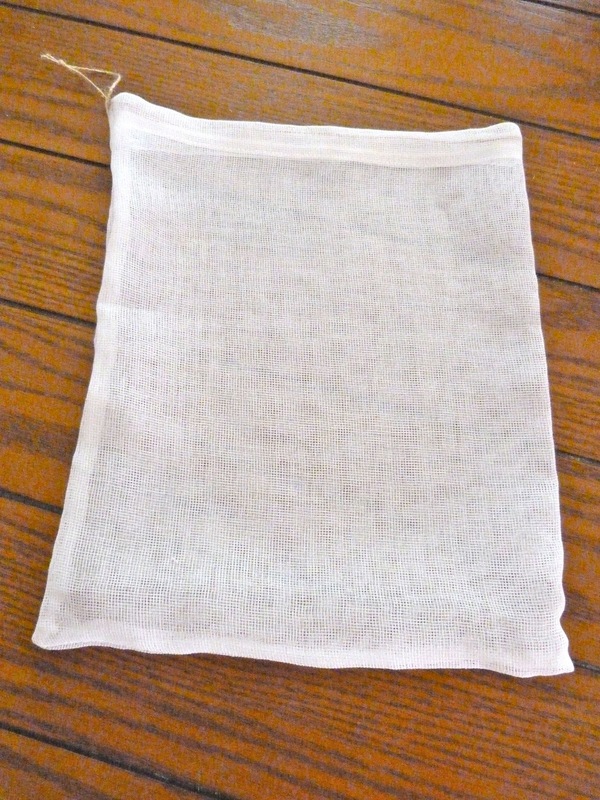 This morning, I laid out my curtain, and using the Earthwise bag as a pattern, I cut out a couple of bags. On my curtains, there was a hem that I utilized for the drawstring area. 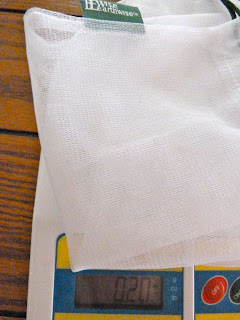 For the rest of the curtain though, I will be having to make my own hem, which may prove to be a good thing. I'm having some issues with fraying even though I put some fray check on. 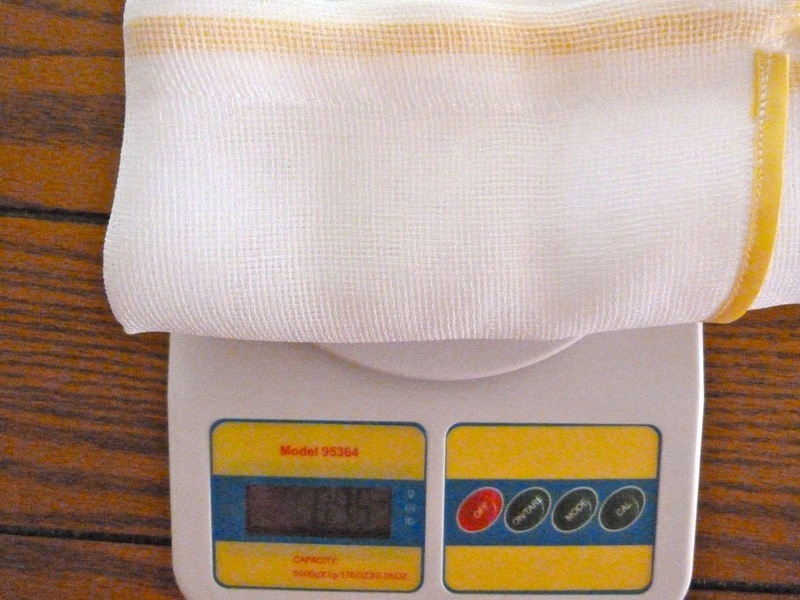 My measurements came to 28" wide (drawstring area finished at the top) and 30" long. You could adjust these for whatever size you may want though. Here is my first attempt. 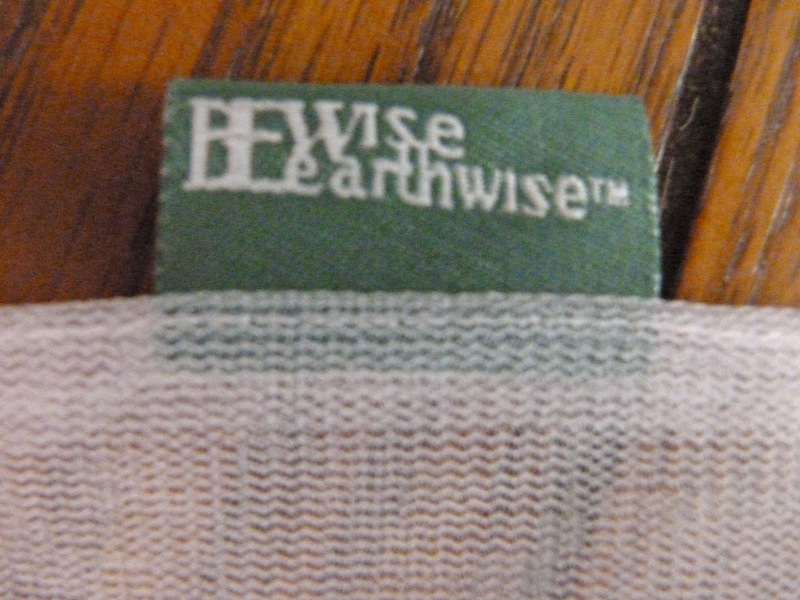 It is about the same size as the Earthwise one I had. Seams are are on the inside and I used a tiny piece of jute twine to cinch it up with at the top. And this is my second attempt. Because I noticed the material wanted to fray quite a bit, I decided to try using some double sided seam tape. I stitched around the three sides first, then put the tape on and stitched around again. I actually went around a third time just to make absolutely certain it would be strong. This bag was just a few inches bigger. 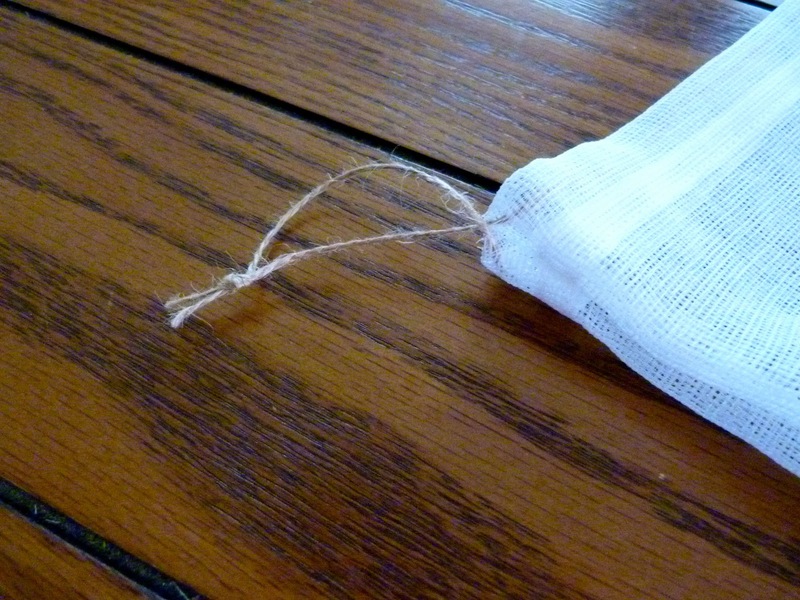 This drawstring was constructed using about a yard of seam tape that I had stitched closed. Much stronger, but as you can see... was not able to stop the fraying right where the drawstring comes through. I'm going to make a few more to see if I can perfect the process. Now at this point, being Frugal, you might be asking yourself... well, it's not sheer plastic. I mean, those produce bags weigh NOTHING!! Good point! So I decided to weigh each of these to find out just how much more I would be paying for at the grocery store. The first was the Earthwise bag. Just 2 tenths of an ounce! Not bad! 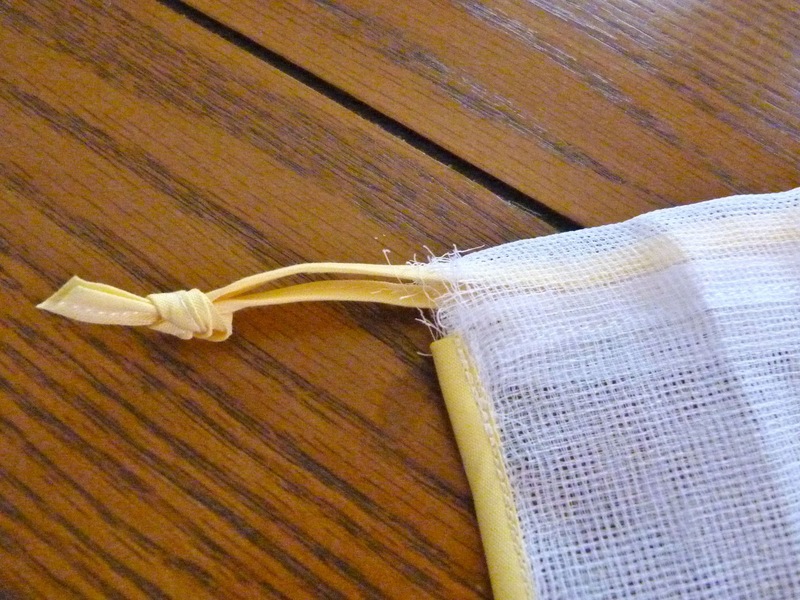 My first bag with the jute drawstring..... 7 tenths of an ounce. I could feel a difference although very slight between the first and second. 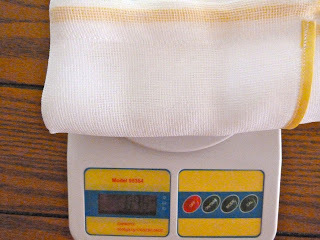 And my last bag with the seam tape was 9 1/2 tenths of an ounce, nearly an entire ounce. Even though these may weigh more than the bought variety, I could still use them when the produce is priced "5 items for $1" without the weight being an issue. So that's my green thought of the day. Think "Green" and recycle or repurpose something old. These curtains could just as easily been found at my local Goodwill store or a garage sale. Turn it into something new and useful. I should be able to make about 6 to 8 produce bags out of my $2 find! What will you do today to save some money? Share it over at the Frugally Sustainable Challenge so we can learn from you too! Look me up... my user name is "GrowGreen".